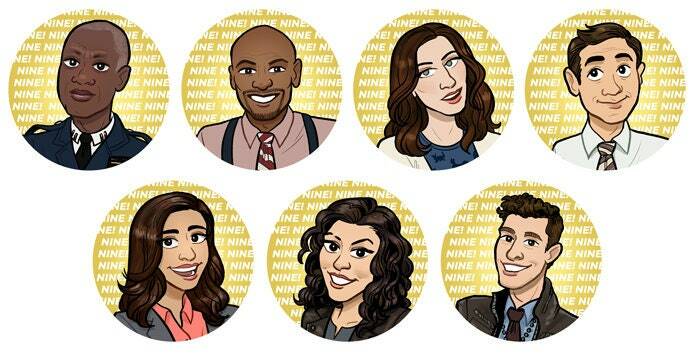 NINE-NINE! 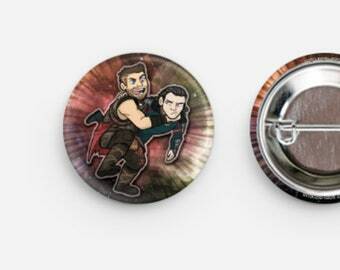 Your favourite Brooklyn police officers are here in 1" button form! 1" is about the size of an American quarter, so these buttons are easily portable to come along on your crime abiding adventures! Stickers match the designs and are 3x3 inch circular vinyl stickers. They only come in a full set of 7 stickers. Available while supplies last!